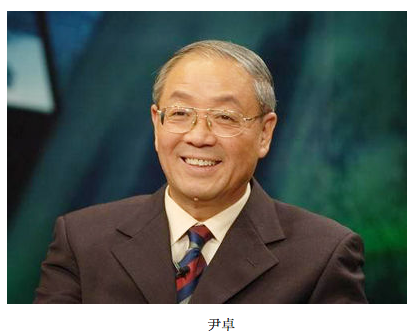 On March 1, Caixin broke the news that Chairman Ye Jianming of the China CEFC Energy Co. has been detained by PRC authorities, and is under investigation for suspected criminal activity. The company initially tried to refute this as “irresponsible” reporting, but investors opted to believe China’s leading investigative journalism outlet, and the company’s bonds dropped by 33% in a day. But the party-state authorities’ ban on reporting about Chairman Ye and his empire of enterprise (documented here in 2017) remains in place, so Caixin‘s scoop was expunged from the PRC internet within hours. CEFC was ranked 222nd in the Fortune 500 in 2017, and last year stunned the international energy industry by securing agreement to buy a $9 billion, 15% stake in Rosneft, Russia’s state oil giant. Now the company’s future is as murky as its past. Caixin reporter Ji Tianqin 季天琴 spent the most of 2017 interviewing CEFC executives, tracking down former associates of Ye, and tracing CEFC’s constellation of satellite companies through the financial records. And the crowning glory: she interviewed Ye himself twice, finding all manner of holes in the stories he told her. Ji Tianqin is famous in Chinese journalism circles for her award-winning deep-dives addressing, among other things, Wang Lijun’s reign of terror in Chongqing. Considering the difficulty of being an investigative reporter in China today, she really ought to be famous outside China too. This epic investigation into CEFC reveals how, through party and military connections, turnover figures massively inflated by fake trading, and relentless pursuit of international photo-ops and status symbols, Ye Jianming was able to sell domestic and foreign audiences a mostly vacuous narrative about his rising global energy and finance colossus. Suffice to say, these revelations extend my record of getting some things right about CEFC, but not very many. I’ll leave that discussion for another post, as my purpose here is to urge China-watchers to invest the time in dipping into the 16,000-word translation below — and to please share thoughts on what it all means. I’d also welcome any translation corrections from people more familiar with financial and business terminology. This is a spectacular work of Chinese investigative journalism that may contain some profound implications for understanding the PRC’s economy, politics and international relations. Ye Jianming under investigation, what fate will befall CEFC? Would China and Vietnam want a fight? economic problems in china, economic problems in vietnam. a skirmish in the south china sea might be a distraction and an economic fillip for both? This is worth thinking through carefully, and i would be most obliged if readers could pick out the holes in my logic and knowledge. even if China was indeed up for a fight, it would take both of them to tango, and Vietnam wouldn’t be keen. China would be the likely beneficiary of a live-fire skirmish involving the PLAN, for under that pretext China could evict Vietnam from one or more islands of its choosing. That would be the first time the People’s Republic had ever controlled an island in the Spratly Archipelago. Possession of a single island in the Spratlys would hugely enhance the position of the People’s Republic strategically, logistically, and legally. What is more, i dare say it might be viewed as a glorious success by some people in China. 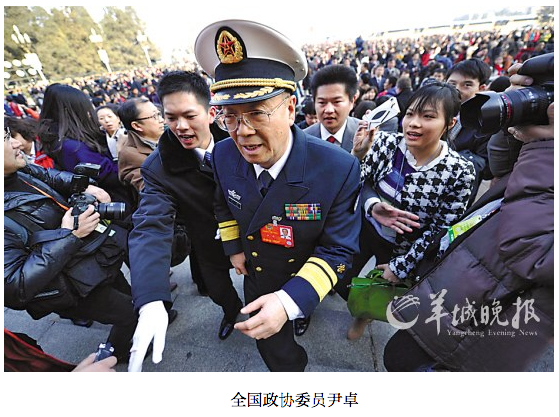 “Retrieving” 收复 a Spratly island by evicting an opponent is perhaps the one action that could actually impress the Chinese public and bolster the party’s “nationalist legitimacy” at home. Despite possessing a much better navy and air force than the Philippines, i think Vietnam would be a more appealing target for an island “retrieval” simply because there would be no issue of the US becoming involved via treaty obligation. This is also reflected in the fact that Vietnam is the only country the PRC has attacked in the South China Sea. The best opportunity for the PRC to make a move like this would be a clear-cut instance of Vietnamese aggression. A flagrant attack a PLA Navy boat by Vietnamese fishermen might constitute a justfiable rationale for an island battle. If multiple attacks happened (or could somehow be made to happen) then China could instruct its military to go looking for the attackers on one or more of the Vietnamese-controlled Spratly Islands. Would America step in to prevent China from gaining such prime a foothold as a Spratly Island? I think not, as long as China could convince the world that Vietnam had started the incident. On the other hand, even if Vietnam were to oblige by recklessly attacking the PLA Navy, the risk for China would be that the US could use the ensuing PLA retaliation as an opportunity to assert itself in the region, and perhaps even to bring the PLA’s development “under control”. From my hypothetical Chinese military perspective, the US could conceivably unleash its considerable (though much-degraded by Saddam’s WMDs) narrative-building powers to convince the world that China was to blame for any clash — even, or perhaps especially, a clash brought about by Vietnam, under US encouragement. So while China would stand to gain a great deal from a skirmish, it could still be deterred by its own belief in the US’s evil intentions and opportunism. Vietnam, meanwhile, has its good friend Russia increasingly tangled up with its own fortunes through a range of energy development partnerships (“such as Vietsovpetro, Rusvietpetro, Gazpromviet and Vietgazprom”), and Russia may soon be present in Cam Ranh Bay, which Vietnam has offered as a the site of a Russian supply and maintenance base. Xinhua’s Moscow-datelined report from August 27, ‘Vietnam declines to give Russia exclusive rights to naval base‘ (my emphasis) appears to be clutching at straws trying to find a positive angle for China; President Truong Tan Sang’s 5-day visit to Russia last month appears to have been a riproaring success. The reason Russia will not have exclusive rights, is of course that Vietnam has invited the US military to use Cam Ranh Bay too. 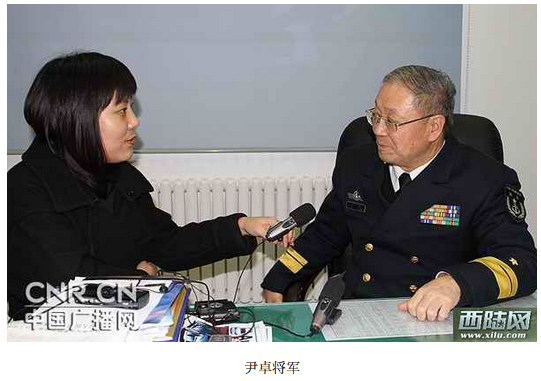 The Chinese media have frequently accused the US of trying to embolden China’s co-claimants into making provocations. From Hillary’s famous declaration of national interest, to (non-combat) military exercises in July 2011, to Leon Panetta’s visit to Cam Ranh Bay in June this year, the US has definitely been pushing things forward with Vietnam too. In the event of a skirmish with China, however, Vietnam still couldn’t count on support from either the US or Russia, both of which continue to have enormous national interests in maintaining peace with the People’s Republic. When it comes to the South China Sea, Vietnam is the only country that has ever actually tried to fight with the PRC there — and that did not end well (see video at top). Yet Vietnam’s position in the Spratlys remains very favourable compared to the People’s Republic’s, occupying at least six islands and more than twenty reefs and atolls, and an estimated 2,000 troops posted as of 2002. Why would they risk this, with possession is (probably) nine-tenths of the law? To me, this all points to Vietnam being determined to avoid serious escalations, even as the US bolsters its position in the region. The violence in Syria is currently sitting as a top headline on all the 5 major news portals. All are leading with exactly the same headline: “US and EU seeking Syrian intervention outside UN framework”. This could be the result of an an order from the SCIO, but of course we don’t know that. There’ also an editorial in the People’s Daily today, explaining how “China’s veto was in accordance with the Syrian people’s basic interests”, so at the very least it’s safe to assume that the central government is paying plenty of attention to guiding public opinion on the Syrian issue. This offers an interesting snapshot of some of the limits of censorship. 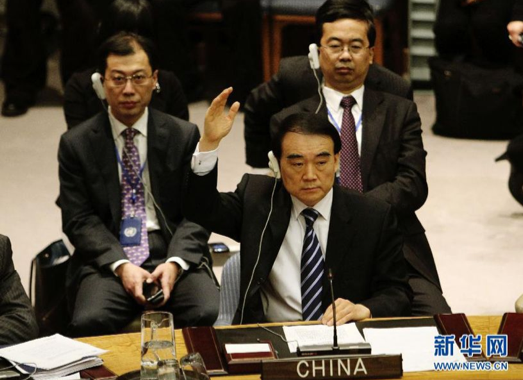 It suggests that sympathy with the Syrian people is okay, but making the point that these kinds of UN Security Council votes adversely affects China’s international image is perhaps not so. Of course, it’s no surprise to find that labelling China’s leaders ‘mainland mongrels’ (zazhong, lit. mongrel) is not acceptable, nor the original top comment suggesting the Arab Spring could spread to China. The “inhuman government” and “public enemy” comments presumably escaped censorship because it’s unclear who or what it’s referring to – Assad? The US? China and Russia? The fact the discussion was not shut down, only trimmed around the edges like this, seems to suggest this was more likely an example of NetEase’s own self-censorship than a particular order from the party authorities (which would be more likely to simply specify that certain topics should not be discussed at all). Interestingly, comments critical of the Chinese government’s actions in relation to Syria are plentiful on NetEase and Phoenix, but they are much rarer on Sina. In fact, this Sina thread, a composite of comments from various Syria-related stories, reads quite like the threads on Kim Jong-il’s death, with the Chinese online population apparently speaking almost with one voice in favour of the government’s heroic veto. I wasn’t aware of NetEase being a particular hangout of the meigou (‘American running dogs’ – the insult hurled at pro-Americans and liberals more generally) though i will start bearing it in mind as a possibility. More likely though, Sina is for whatever reason simply censoring comments on the Syrian issue more stringently than NetEase. The Syrian uprising is far from a fringe issue in China’s online media. As mentioned above, it’s one of the top stories on all the main news portals. It’s also an issue many people feel strongly about: today, for example, 8 of top 10 most commented-on stories on Phoenix are Syria-related. On NetEase there are 3 Syria-related stories in the top 10, and the same number are in the top 10 for the last week. However, if we look at the number of clicks for each story, only one makes NetEase’s daily top 10 (‘China, Russia veto security council resolution on Syria’ sits at number 7 with 490,000 views; number 1 is ‘Shenyang bandit shot dead in street battle with police’), and there are none in the weekly top 10. Which basically means, as a news topic, it doesn’t compare to domestic cops-and-robbers shootouts, but it certainly inspires a relatively high proportion of readers to comment (or agree with someone else’s comment) if they read about it. The Beijing News had a detailed report last week about the demonstrations in Moscow and elsewhere against Vladimir Putin. The article goes on to describe other specific clashes and arrests, quoting a defiant protester taken into custody for 15 days for charging police, before turning to the causes of the dissatisfaction that has also seen Putin cop a setback at the election on December 4. It canvasses Hillary’s “neither free nor fair” comment and the Russian foreign affairs committee chairman’s response – “this is probably . . . the darkest chapter in US-Russian relations in recent years,” adding that he hoped the US government wouldn’t listen to Hillary, “otherwise that will be complete meddling in something that is none of their own business”. Frank treatment of Russia should probably not be surprising, since portraying Putin’s excessive authority, personality cult and and election-rigging casts China’s own leaders in a good light. Coverage in official media of protests abroad is supposed to show Chinese people the problems of other countries, as well as the dangers of chaos. At the same time though, it’s risky because it also shows the Chinese audience what people in other countries are allowed to do. [In reply to ↑↑↑] Nonsense, without Roosevelt and Martin Luther King America would have been finished long ago. * Yuan Shikai, (arguably) China’s first president, restored the just-abolished monarchy to make himself emperor and in so doing plunged the country into chaos.